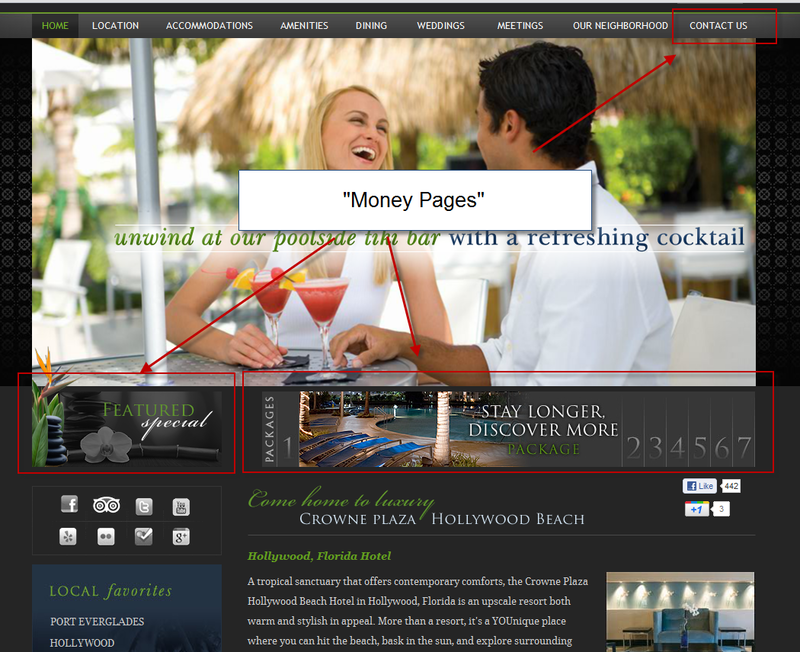 Content writing is more than just putting words on the website that sells your hotel services. Rather, it’s the way to connect with potential and past guests. The best content is offers valuable information that engages your users with the goal to drive profit, according to SMX West 2012 panelists in the session “The New ‘Killer’ Content.” With that said, content is king not just for search engine crawlability, but also for relationship building with your customers. Understand your target markets – Segment your audience by their characteristics (i.e. age, income, region) and their needs (i.e. value savings, luxury travel). Hoteliers should not market to everyone, but rather market to the niches that are most likely to convert. Write fine-tuned content just for those specific segments. Pay attention to what’s being shown on the Search Engine Results Page (SERP) – A strong title tag is the first point of conversion because that the bolded, clickable text for your website on the results page. Underneath that should be a strong metatag description that entices users to choose your website instead of the other 9 websites on the SERP. Therefore, make the title tag and metatag description sell to your target markets. Tone needs to match your market position – If your business offers a personable and welcoming service, then tone should be warm instead of corporate or business. Understand your distribution channels – Content on the website and coupons should focus on hard sells. Content on blogs is to provide information and drive traffic to the site. Content on social media should be lead generation and keep your brand exposed to current and new markets. Verbiage on each channel needs to focus on that specific stage of the buying cycle. Repurpose your content across different channels – Start with one topic in one channel, i.e. a blog post, and summarize the same subject manner into a Tweet, Wall post, press release, etc. The point is to not start from scratch, but rather reformat existing content in multiple ways. Use an editorial calendar – Plan out your topics, blog posts, Tweets and wall posts at least 3 months out. Delegate content development tasks and deadlines to a team. Set goals – Every piece of content should have a goal in mind. For example, increased referrals should be the goal for releasing case studies. Increased bookings should be the goal for releasing a new package page. These goals will be helpful when you analyze the effectiveness of new content. If a piece of content does not have a purpose, don’t include it. Tighten up your “Money Pages” – Focus most of your attention on the pages that offer the most conversion, i.e. package pages, forms, any pages on which the user can make a hotel reservation. Talk benefit, not features – Write content in a way that tells the user how they will benefit. Users want to see what’s in it for them. Fresh content – Remove any outdated materials. If you need to keep a library, then archive old materials. Users pay attention to the dates on which PDFs were updated. Outdated sales materials (i.e. packages, promotions) are poor reflections on a hotel. Reviews are crucial – Add guest reviews on conversion pages. 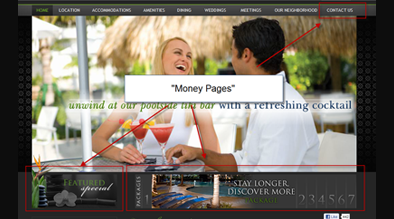 Users will convert if they can verify from past guests that your accommodations are valuable. Look for SERP opportunities – Go into your analytics and look for pages that have good positions but low click-through. These pages are missed opportunities for conversion and need rewriting. Validate information architecture – Revisit each page and make sure that the content on each page is matching the keyword strategy for that page. For example, when user types in “Nashville hotel rooms”, make sure users are landing on the Accommodations page and not the Meetings page. Make adjustments to keywords and content to ensure the users’ query brings them to the most logical page. Content writing is essential in getting your users to convert. Making sure each page matches the correct tone with your market position, and making sure each piece of content serves a purpose is essential. Content writing is also not a single step but rather an ongoing practice. Use this post to always be looking for ways to improve website content.